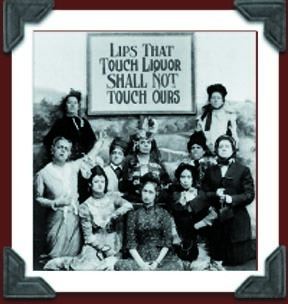 The Bradford police made a raid last Sunday on a speakeasy conducted by Mrs. Frances Cosilito on Roberts street. They found about fifty guests who were busily engaged in imbibing beer. The police gathered in 19 of the guests and the landlady. At the hearing Monday morning the guests on the occasion were discharged. Mrs. Cosilito was fined $15, which she promptly paid. In McKean county court in Smethport last Friday. Judge J. W. Bouton handed a jail sentence to Harold Burgess, confessed bootlegger, when he said, “eight months in the county jail and a fine of $1,000.” Also upon delivering sentence he gave Burgess a severe lecture upon the evils of his ways. Harold Burgess is the man who was caught with the goods in Bradford, as he was about to deliver a couple of jugs of moonshine to a customer. When County Detective J. J. Allison of Smethport and two State policemen suddenly confronted him, Burgess smashed the jugs on the sidewalk. Detective Allison was equal to the emergency, however he procured a pop bottle from a nearby soft drink establishment and by saturating his handkerchief in a pool of “moonshine” which had formed on the sidewalk, procured enough of the liquid evidence to take the heart out of Burgess, who pleaded guilty, who also later pleaded guilty in court to the charge of transporting liquor. Henry Burgess, who was with his brother on the night that the arrest was made, was also arrested as a bootlegger. He told his story, which investigation proved was true, that he was not in the liquor-vending business, nor had ever been. On the night in question he was with his brother in a automobile and was on his way to visit his sister who was sick, when Harold stopped the car to deliver the liquor to a customer. Judge Bouton paroled Henry for one year and Burgess paid the costs in his case. In court Friday Finley Hill of Bradford pleaded guilty to the charge of driving an automobile while intoxicated and was sentenced to pay a fine of $50 and to spend six months in the county jail. Bradford, May 5— Bradford’s beer supply is now shut off and all the thirsty who have not laid in stock will have to go dry. 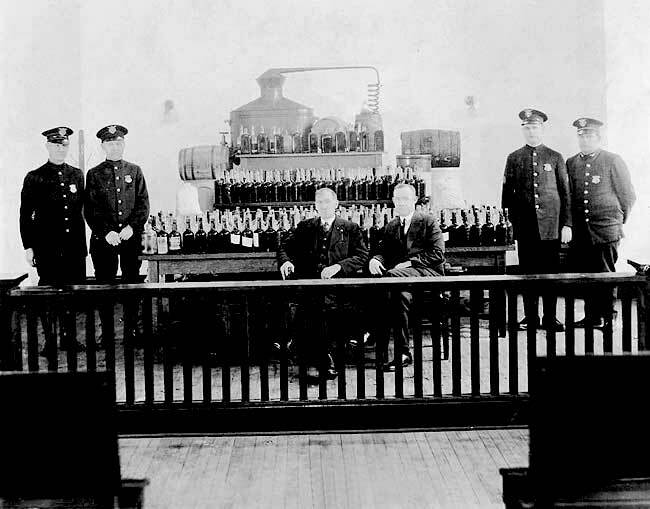 The reason for this is that Bradford’s beer bootlegger has been discovered by the New York state troopers and today his storehouse in Limestone, which is filled with barrels of beer, will be searched and seized by District Attorney Laidlaw of Little Valley, who this morning secured a search warrant for that purpose. Last evening State Troopers Edwards and Gorenflo and Sheriff Frank Annis, the latter of Cattaraugus county, saw the supposed Bradford young man, who it is understood, has been engaged in the bootlegging business for some time in the past, come from the house he rented for the storage of this beer in Limestone and enter his brand new Buick sedan in front. Suddenly he spied the approaching officer and evidently got cold feet for he tried to back his car to turn and make a getaway, but the car backed down into a ditch and he could not extricate it, so he did the next best thing, took to his heels and flew across the fields, making a spectacular escape. The officers however seized his car together with its contents, which included an envelope and other matter, bearing the owner’s name and his order book. This order book, according to State Trooper Edwards, is very interesting for it contains the record of orders taken by the bootlegger since 1919 to the present time. In it are the names of residents of Bradford, Olean, Salamanca, Jamestown, Hornell, and other New York towns who are steady customers of said bootlegger. Back of the name of the customer in the book is the amount ordered in cases, half barrels, barrels and so on. There are therefore a large number of people in nearby New York towns and cities who will miss the active little bootlegger, and they, too, will have to go thirsty, which will be sad after receiving all they wished, according to the order book, since 1919. The Buick car, which the state trooper says is new, was removed last night to Little Valley by Sheriff Annis and will be held by him. Perhaps the owner will go after it, as it is valued at over $2,000 and worth having. State Trooper Edwards, when interviewed this morning by a Star-Record representative, stated that he and Trooper Gorenflo were sent to Limestone to watch matters as the authorities had received numerous complaints from residents of the village about the “beer house” in Limestone from which it is alleged beer was peddled. They objected strenuously to having it in town, as it is a nuisance. Complaints became so strong and so insistent that the state troopers were assigned the task of taking charge of affairs in the village, which they did. They learned that the Bradford man had rented a deserted house from a Limestone man and in it stored his beer. 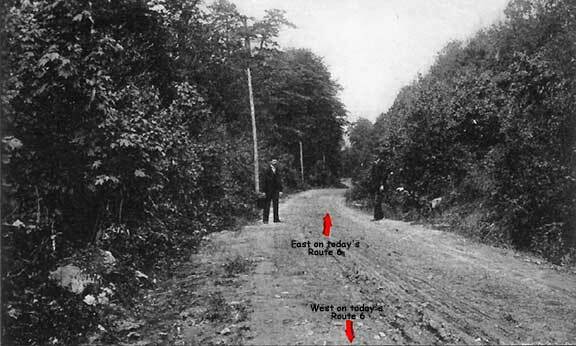 The house is located on the west side of the town on the same street on which the hotels and stores are located only beyond the railroad tracks. The troopers looked into the windows of the house and saw at a glance the barrels piled high on top of each other. Last evening they were approaching that neighborhood when they saw the supposed bootlegger get into his car. It is supposed that he visited the storage plant to see if everything was all right—and untouched. Everything it seems was O. K., until he saw the officers coming and he was suddenly taken with fright and acted wildly as above stated. It would seem that the fellow was foolish in running for the police could not have touched him for they had not papers to make such an arrest it is understood. This perhaps, he did not consider, but being nervous, thought that he would be arrested and tried to avoid it and did—for the time at least. After the beer is seized the authorities it will be analyzed for the purpose of finding its percentage of alcohol. Following he local arrests, a detachment of State Troopers arrived in Smethport and cooperating with the county authorities have made a number of arrests, calculated to check the illegal liquor traffic in this county. Kenneth Norton arrested while walking along Main Street by Policeman Travis. He gave his home as New York. It is claimed that he acted as the “foreign agent” for the Bradford vendors of bootleg and that he has been operating in Bradford several months. Frank De Lucco arrested in his meat market at Webster Street by Officer Sherman and a member of the State Police. Raymond “Aggy” Showers, arrested by Officer Travis in a poolroom on Main Street. Patsy Gargano arrested at his home No. 26 North Street, by officer Kehoe. Marvin Friedman arrested at his home by County Detective Allison and Officer Fairbanks. Dominick “Patsy” Cassello, arrested in his shoemaker shop at Davis Street of Officer Paterson and a member of the State Police. They were arraigned before Alderman Foley of Bradford for preliminary hearing. Following the presentation of the evidence by the state policemen, all were held in $1,500 bail for the next term of criminal court at Smethport to answer charges of selling liquor without a license. All furnished bail at the alderman’s office and were released from custody. On Wednesday night of last week County Detective Allison and State Troopers J. J. Houser and George Lewis raided the poolrooms conducted b Dan Bernard and Joe Slavin in Eldred. The officers arrested the proprietors on the charge of running gambling contrivances contrary to law and the proprietors of the two poolrooms gave bail for their appearance at the next term of court. The officers confiscated five slot machines and 15 punchboards in the two places as well as a quantity of jewelry, watches, clocks, etc., offered as prizes for the lucky winners on the punch boards and slot machines. Jack Altman, of Buffalo, who was held at the county jail in this borough for trial at the February term of court on a charge of possessing and transporting liquor illegally, was released on Dec. 21st, his wife coming to Smethport and producing bail in the sum of $1,600. Altman, together with john Daniels and Alfred Mays, also of Buffalo, were arrested by Sheriff Jos. 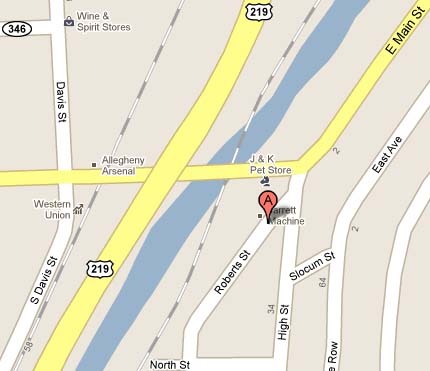 Robinson and County Detective Allison, on driving into Smethport two weeks ago with a cargo of hootch. 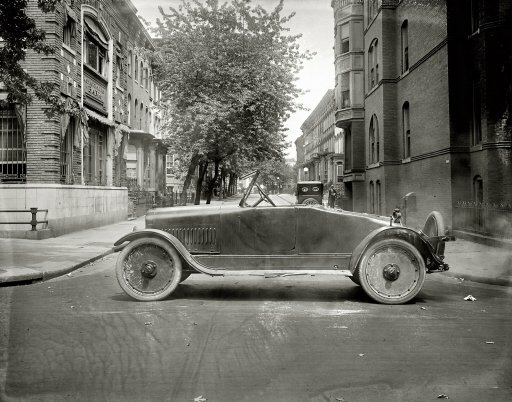 The contents of the cars several cases of a fluid labeled “Old Grandad Whiskey” (a beverage containing a kick said not to be as senile as its name implies) was seized and Altman’s car, a Buick roadster, is being held by the local authority. All three men were held for court at a hearing before Justice Colegrove, under $1,500 bail each. Mays and Daniels lived for several days in high hopes that Altman would secure bail for them to enable them to return to Buffalo, but it is said that the worthy has disappeared from his regular haunts, leaving his employees to their fate. Relatives of John Daniels have made several trips to Smethport in an effort to secure his release but as of yet have been unable to raise the necessary bail. It has been ascertained by District Attorney E. G. Potter that Altman recently purchased the Buick car from a Kane center, but has never paid for it. The government has discovered a new method of dealing with bootleggers. It has been a custom of this gentry to plead guilty, after being arrested, pay a nominal fine and go free without paying costs of the trail. The other day government agents visited Clearfield county and went thru the criminal court docket and took the names of all those convicted of liquor law violations. Now the government proposes to collect a healthy revenue tax from the offenders and has the power to do it too. If the taxes are not paid within proper time they become a lien against the property of the person owing such taxes. Thus it would appear the “bootlegger’ has nothing left to “lien” on. Traveling in High-powered automobiles, a detachment of State police and Elk county authorities made a clean up of violators of the liquor laws in that county last Friday. 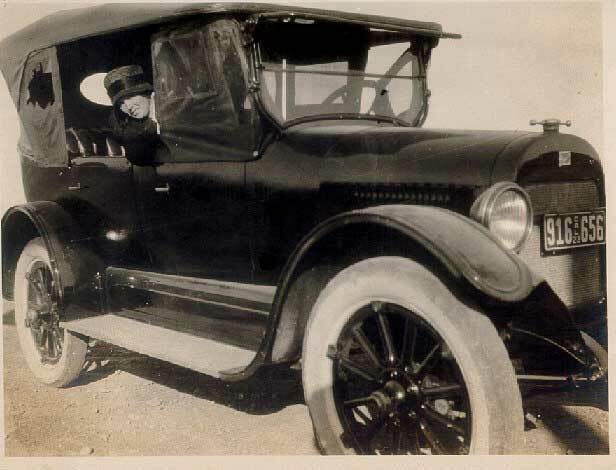 Traveling at high speed the officers visited all sections of the county so quickly that the bootleggers could not ”leg” it fast enough to get away. Eighteen manufacturers and venders of illicit liquor were captured. The Democrat has always maintained that the quickest way to eliminate the moonshiner, the bootlegger and the liquor traffic in general is to leave them alone. Then in time they will drink enough of the hootch they are now producing to send them to a higher court. But one offensive move was made by the authorities when Mrs. Nora Costello of 91 Forman street was taken into custody b the county detective and Bradford officers. The warrant charges that Mrs. Costello sold, gave away otherwise distributed intoxication liquors illegally, and is the first arrest under the new state prohibition enforcement law to occur in Bradford. Mrs. Costello was given a hearing Tuesday afternoon and held for court in the sum of $500. Further arrests which had been rumored did not materialize, but it is supposed, that next liquor raid will be surprising in results. Stills, which have been supplying bootleggers with their stock in trade are most likely to soon descended upon by the police. Recently Assemblyman Gillett, champion on the 2.75 per cent beer act on New York State, appeared before the Buffalo Conopus club and spoke in defense of the measure On Tuesday of last week Wm. Farnham, of the Smethport Conopus club, visited the Buffalo Conopus club and took occasion to reply to Mr. Farnham’s address. The Buffalo papers devoted considerable space to Mr. Farnhams address. The Buffalo Express of Wednesday of last week says: Prohibition as a jail emptier was discussed at the weekly luncheon of the Conopus club at the Iroquois yesterday by William M. Farnham, Smethport Conopian, who is New York state president of the Gideon’s, the commercial travelers Christian association. Mr. Farnham’s address in a measure was in retort to the assault made upon prohibition at last week’s meeting of the Conopus Club by Assemblyman Ransom H. Gillett, father of the 2.75 beer bill. “Liquor does not build up, it tears down,” said the speaker. “No one can say that liquor makes better people, better government, better homes. A few years ago there were two men in every cell in the Erie County Penitentiary. Today there are but few more than 100 prisoners. “ Mr. Farnham denied that prohibition of arrogations of constitutional rights, or that it is an infringement of personal liberty. His argument was that all laws are based upon the precept of doing the greatest good for the greatest number of people and that liquor is a detriment to the majority of the population.